Dallas Video by IEBA Communications | Long Lens work for Ambit Energy’s 7-location webcast. Long Lens work for Ambit Energy’s 7-location webcast. When it comes to corporate work, especially webcasts, the traditional camcorder is still the workhorse. These cameras can be set to interface directly with multi-camera video mixers, and even be remotely painted to match perfectly. Plus, like DSLRs, they can have the lens changed out for something more appropriate for the venue, like a very long zoom lens for capturing the president of the company as he stands on stage, an entire ballroom away. I was handling the big lens, studio config, from the back of the room. When WSC HD Productions needed someone to step in and provide some excellent long-lens work, Anthony Burokas was chosen. 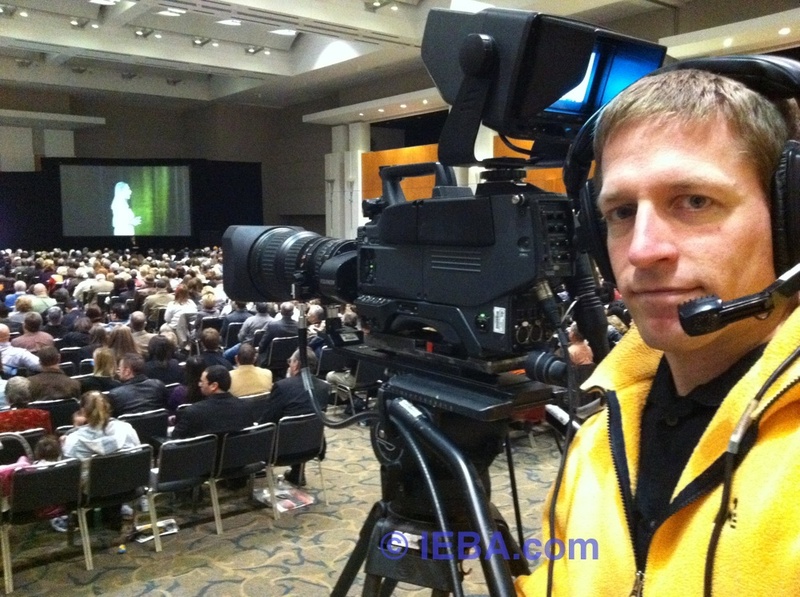 His 20 years of broadcast experience paid off running “camera 1″ for the entire event. These are instances where even touching the focus controller can make the highly magnified image go blurry. Anthony ably handled the main camera for the entire live webcast- live streamed to 7 cities throughout the USA where they also had live audiences and fed back to our main event stage. How big is the lens here? It’s pretty big. It has its own shipping case. Fujinon's 36x10.5. 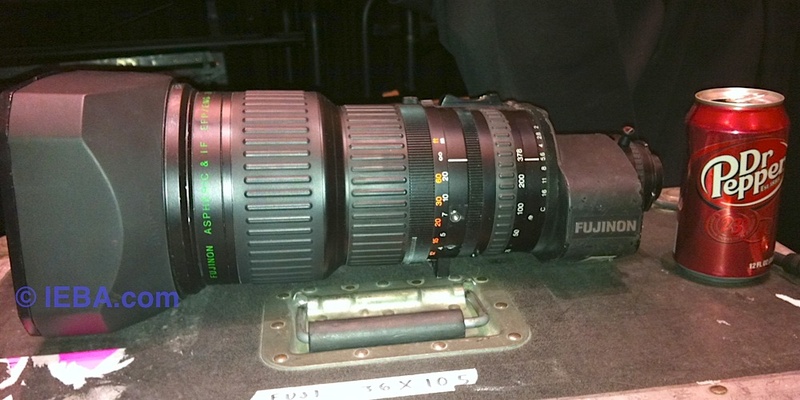 Not the longest I've handled, but still a nice lens.